An extraordinary event for your evening in Rome, a concert full of romantic charm, dedicated to Italian Opera in Rome. 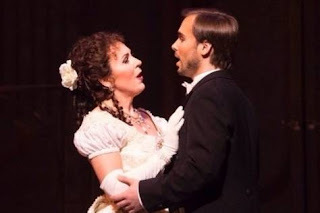 Soprano and tenor from major Italian theaters, accompanied by Gran Piano, will offer performances of arias by Verdi, Puccini, Offenbach, Mozart, Rossini and much more. An experience unforgettable at this unique venue in Rome: the Auditorium of Ponte Sant`Angelo in Rome, in front of beautiful Castel Sant`Angelo, site of Tosca, opera by Giacomo Puccini. The Auditorium of Ponte Sant`Angelo has an excellent acoustic, ideal for classical and opera concerts.